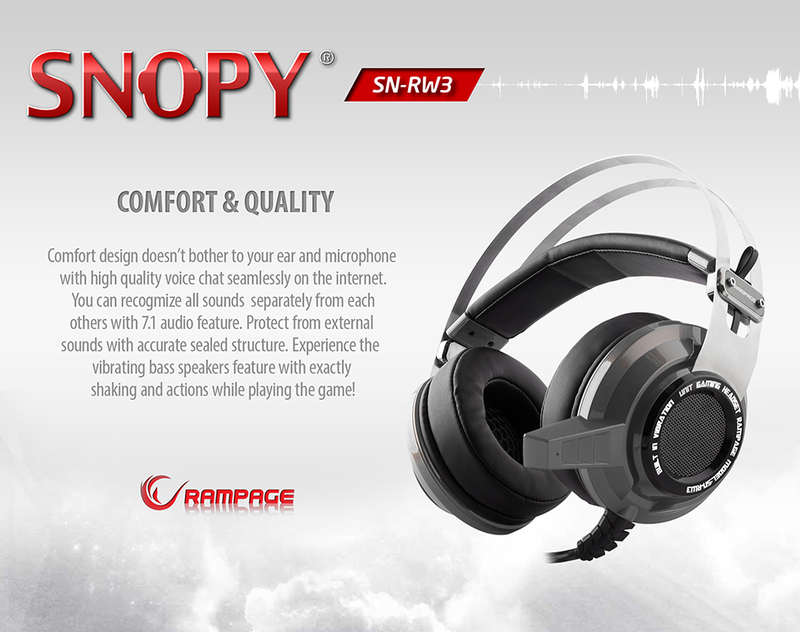 Snopy Rampage SN-RW3 USB 7.1 Gaming Silver/Gray Headset; Comfortable design doesn't bother to your ear and microphone with high-quality voice chat seamlessly on the internet. You can recognise all sound separately from each other with 7.1 audio feature. Protect from external sounds with accurate sealed structure. 2M Lengthy cable is longer than the other headsets, it allows you to move freely. 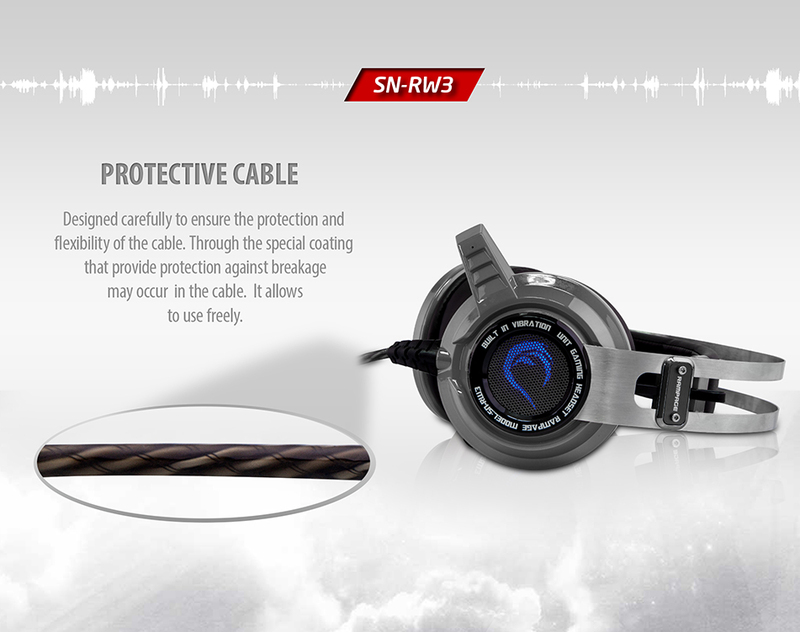 Snopy Rampage SN-RW3 USB 7.1 Gaming Silver/Gray Headset; Design carefully to ensure the protection and flexibility of the cable. Through the special coating that provides protection against breakage may occur in the cable. It allows using freely. The main cable is coated with the protective plastic and thus prevents problems that may occur in the cable! 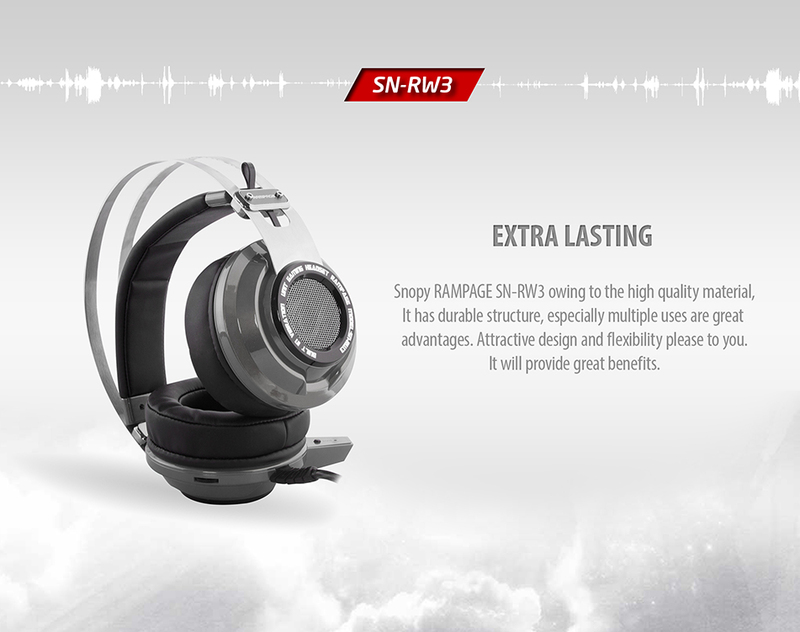 Snopy Rampage SN-RW3 USB 7.1 Gaming Silver/Gray Headset; SN-RW3 has a high-quality material and very durable structure. Especially multiple uses are great advantages. Attractive design and flexibility please to you. It will provide great benefits. 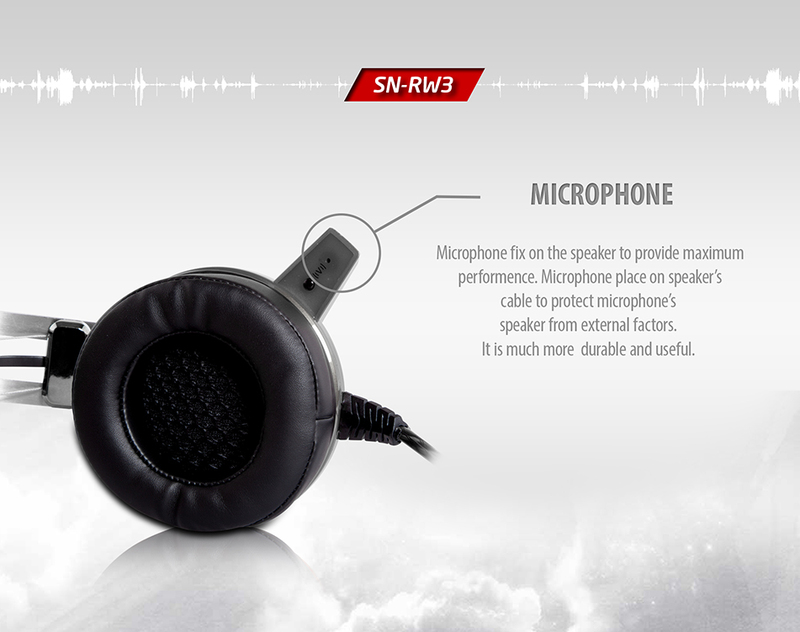 Snopy Rampage SN-RW3 USB 7.1 Gaming Silver/Gray Headset; Microphone fixes on the speaker to provide maximum performance. Microphone place on speaker's cable to protect microphone's Speaker from external factors. It is much more durable and useful. 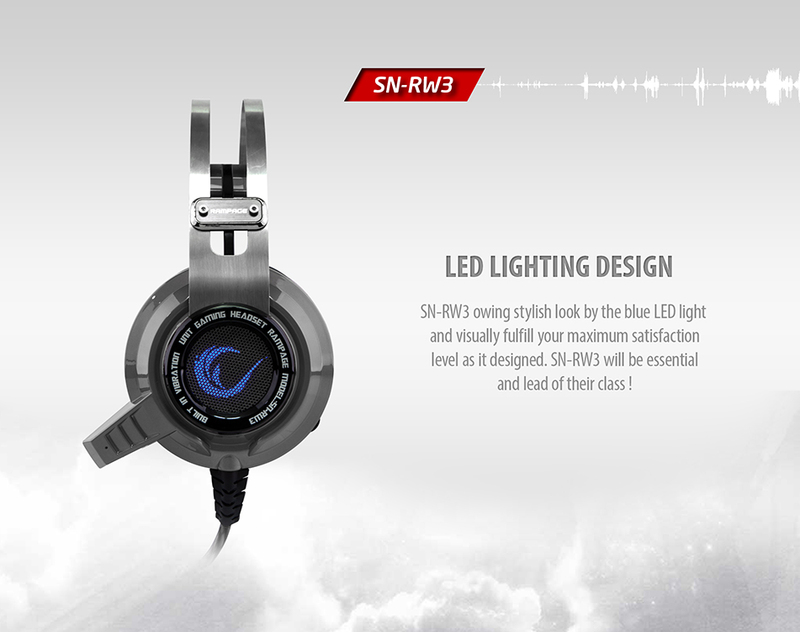 Snopy Rampage SN-RW3 USB 7.1 Gaming Silver/Gray Headset; It has stylish look with the Rampage logo and Blue LED light, visually fulfil your maximum satisfaction as Ä±t Ä±s precisely designed. SN-RW3 will be essential and lead of their class. 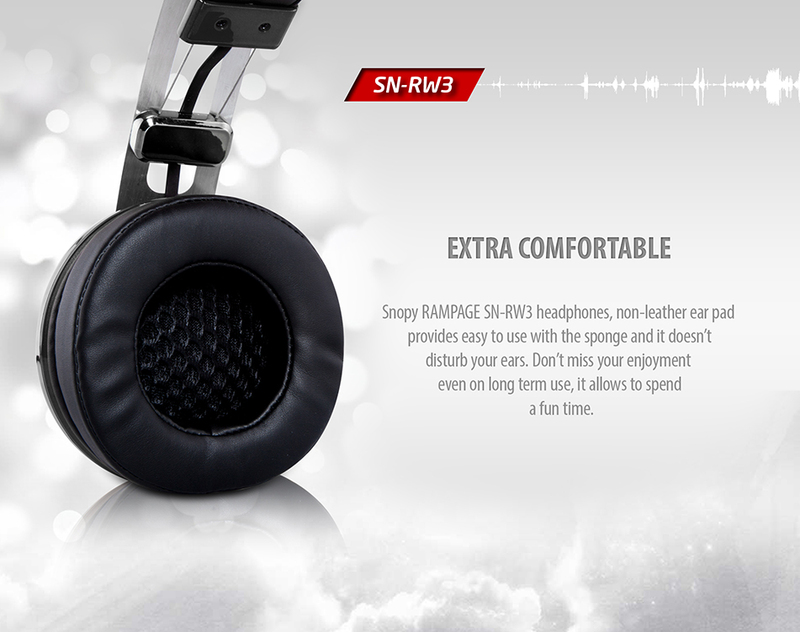 Snopy Rampage SN-RW3 USB 7.1 Gaming Silver/Gray Headset; Non-leather ear pad provides to use with the sponge and it doesn't disturb your enjoyment even on long term use, it allows to spend a fun time.